Last month we talked about fatigue and signs that you may be overdoing it. What then if you don’t think you are overdoing it and yet you are still dragging yourself through the day. Let’s look then at some of the physiological reasons you may be so very, very tired. Do you feel like you are running on a homebrand battery most of the time? Fatigue can be caused by a great variety of problems, some of which are obvious to us (like detecting iron deficiency), while others are not so obvious and may need professional assistance to identify. I know, I know. I sound like a broken record, but PLEASE don’t underestimate the toll stress can take on your body over time. Whether it be emotional, physical or environmental, if you continue to push your body to its limits, at some point it will push back. I think for many of us we stand at the ATM of life making withdrawals and never topping up our bank account. That’s why I love certain nutrients such a Vitamin B. I feel like it’s a little deposit to top up my account balance. If we row our boat to the source of the Nile, alongside the ‘Goddess of Stress’, we will find her very good friend Inflammation. Stress is inflammatory (think redness, pain, heat, swelling – sounds like me every time I get into my car and deal with Perth drivers!). Did you know that researchers now believe depression to be an inflammatory condition? The brain on fire if you please. Inflammation, in my mind, sits at the heart of so many illnesses. If left unchecked, it will lead to problems with fatigue as your body tries to put out the fire within (along with accelerated ageing – NO THANKS!). 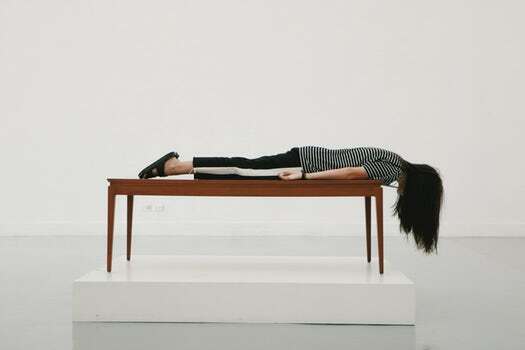 If you are not digesting your food properly then it makes sense that even with the best diet in the world (whatever that is…) you will have trouble absorbing key nutrients leading of course to…fatigue. If you want to know more about your gut and the importance of having a well functioning digestive system I would encourage you to download my free Gut Guide. It’s bloody interesting reading (even if I do say so myself) with lots of tips on how to look after your ‘garden within’. Menstrual cycle and many other aspects of your health. With hormones it’s all about balance (not too much and not too little – thanks Goldilocks) and without that a whole host of issues may arise. This is such a big topic that I will dedicate a whole post to it next month (or so…) after I return from the hormone conference I am attending in Melbourne in June. Are you on a roller coaster or Ferris wheel with your blood sugars? If you are constantly reaching for the carb laden sweets and pastas and bikkies, then you are definitely on the roller coaster. This will make your energy peak and trough very quickly. You will get the quick high and then crash and burn, leaving you looking for the next quick fix. I see a lot or people in the clinic who work on mine sites or in trades or live next to busy roads. There is often the possibility that you are being exposed to toxic chemicals or metals. A Hair Tissue Mineral Analysis can be an excellent way to check if this is the case. If you would like to know more about this, please get in touch. In order to treat fatigue effectively and restore your energy and vitality, it is important to correct these underlying problems and at the same time support and repair the energy producing factories, called mitochondria, within your cells. If you would like to put more of a bounce in your step, please get in touch so that we can help you get the most out of every day, naturally.